Real Madrid beat Brose Baskets Bamberg 67-82 Thursday for its second straight road win to grab a share of first place in Group E. Nikola Mirotic tallied 19 points and 8 rebounds to pace Los Blancos, who controlled the action for most of the game. Bamberg rallied in the third quarter to within 57-59 on a Bostjan Nachbar three-pointer, but the visitors went back up by 6 through three quarters and Madrid kept Bamberg without a basket for the first four minutes of the fourth quarter. Back-to-back three-pointers by Jaycee Carroll made it 61-76 with 4:15 remaining. The lead peaked at 17 and Bamberg never threatened again. Carroll finished with 13 points, Sergio Rodriguez compiled 11 points and 6 assists and Felipe Reyes added 10 points and 10 boards to help his team outrebound the hosts 32-42. 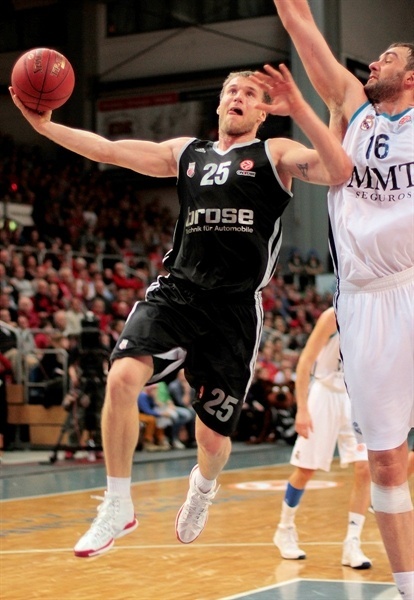 Nachbar paced the German champs with 19 points, Anton Gavel netted 17 and A.J. Ogilvy 15. Bamberg committed more turnovers (17) than assists (11), which hampered its effort. Pablo Laso made just one change to his starting lineup with Mirza Begic on for Rafael Hettsheimeir alongside Rudy Fernandez, Carlos Suarez, Mirotic, and Sergio Llull. 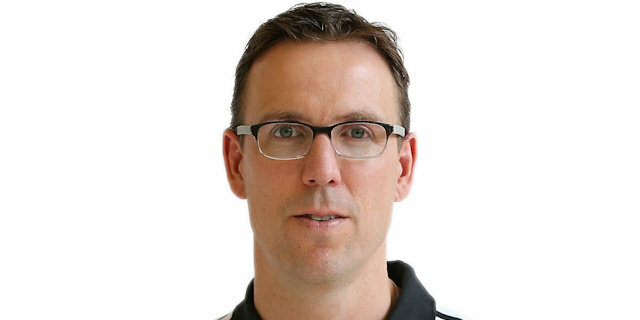 Bamberg coach Chris Fleming trusted the same starters in John Goldsberry, Sharrod Ford, Gavel, Casey Jacobsen and Maik Zirbes. Begic scored the first basket of the game off an offensive rebound and Zirbes struck first for the hosts with a lefty hook in the lane. Gavel gave Bamberg its first lead with a tough layup to make it 4-2. 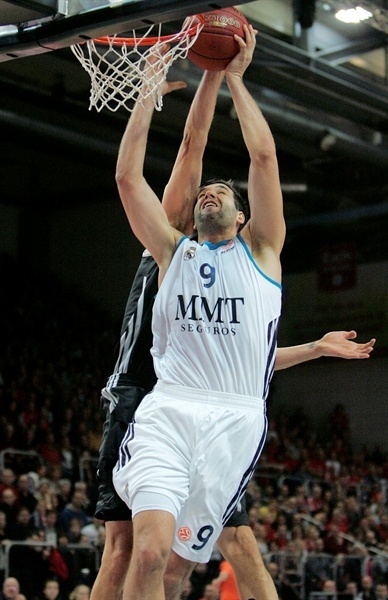 Mirotic hit a reverse and free throw and Fernandez knocked down a triple to push Madrid ahead 6-8. 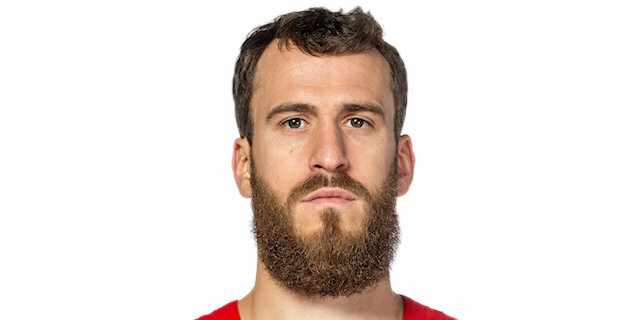 Ford stuck with it with a fine layup after Begic blocked his first shot before Ogilvy scored a layup and a dunk to give Bamberg a 12-10 lead. Real went on the first spurt of the game, starting 3-10 run with a triple from Suarez. Also included in the surge was a Mirotic layin after a fine pass from Begic, a Begic basket inside and 2 Llull foul shots to make it 15- 22. 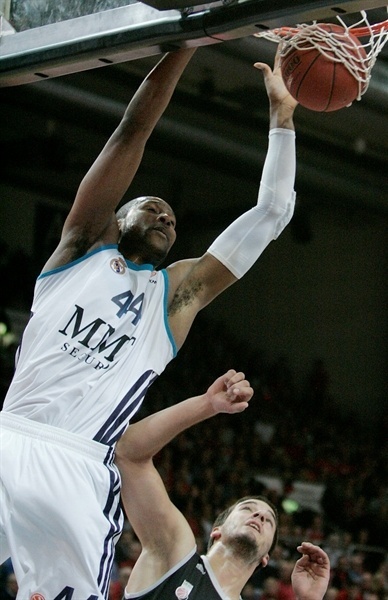 Nachbar made a tough layup, Ogilvy converted a three-point play and 2 more free throws to bring Bamberg within 22-23. But Felipe Reyes nailed a three-ball from the right corner just before the buzzer to give Madrid the lead 22-26 after one quarter. Carroll hit a triple to start the second quarter before Ogilvy put in another score after Nachbar lost the ball and Gavel scored on off an in-bounds pass to make it 26-29. Playing against his former team, Marcus Slaughter blocked Nachbar’s shot and then passed to Carroll for an easy layup and Sergio Rodriguez nailed a long ball for a 26-34 Madrid lead and a Bamberg timeout. 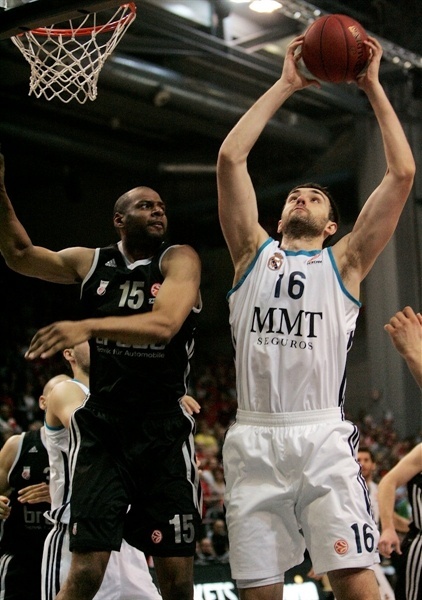 Reyes and Llull scored and Fleming called another timeout with his team down 26-38 after a 0-9 run. Jacobsen finally stopped Bamberg’s 4:19 minute scoreless streak with two foul shots and Gavel nailed a triple from the right wing to cut the deficit to 31-38, resulting in a Madrid timeout. Jacobsen added two more foul shots to make it 33-38 and a Jacobsen jumper trimmed the margin to 35-39. But Rodriguez answered with a three-ball and then threw up an alley-oop pass for a Fernandez dunk, which was followed by a Mirotic drive and dunk to make it 36-46. Ogivly put back an offensive rebound but Rodriguez’s free throw gave Madrid the lead 38-47 at halftime. Mirotic scored the first points of the second half just before the shot clock expired to make it 38-49. Gavel got Bamberg on the scoreboard to start a Bamberg comeback, including a backdoor layup by Jacobsen and a three-ball from Nachbar to bring the hosts within 45-49. 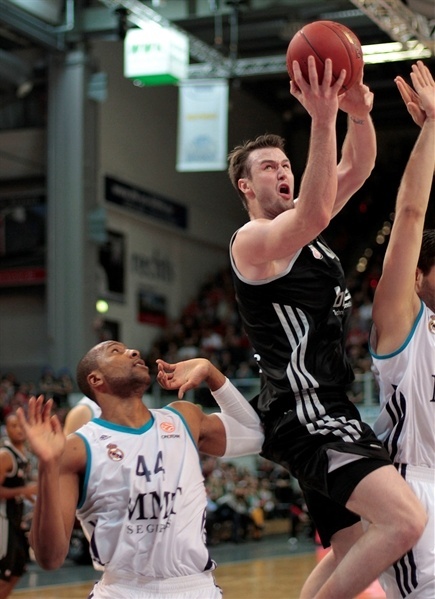 Fernandez made two free throws and Mirotic scored after a nice spin move past Nachbar for a 45-53 Madrid cushion. Nachbar responded with a free throw and a triple to trim the deficit to 49-53. Madrid would not let Bamberg get closer with Llull hitting two free throws and Mirotic getting out in front of the defense for a break-away layup for a 49-57 Real advantage. Gavel knocked down a three-ball, Daniel Schmidt hit a driving layup and Nachbar nailed a long-ball to get Bamberg within 57-59. Madrid again found an answer with a Mirotic tip-in and a Rodriguez fall-away jumper for a 57-63 Real lead after three quarters. A Rodriguez-to-Fernandez alley-oop layup started the fourth quarter and Madrid pushed ahead 57-67 after a Rodriguez fast break layup. Bamberg finally scored with 7:15 remaining on two Nachbar free throws to make it 59-67. Real just had too many weapons as it was Carroll’s turn to take over, converting a layup, a floater and a three-ball from the left corner in a 2-9 run to give Madrid a 61-76 lead with four minutes to play – and a Bamberg timeout. 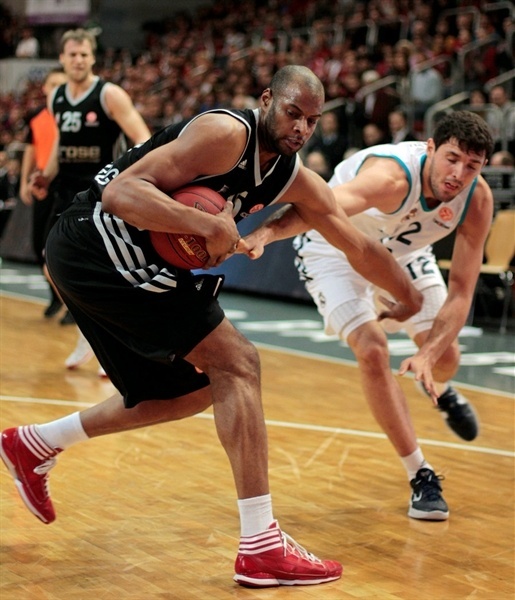 Reyes added two baskets to push the advantage to 63-80 as Bamberg were already beaten with two minutes to play. "We knew what we were facing with this opponent. In the second quarter the rebounding hurt us in giving up the lead. My guys showed a lot of courage. We had a chance to win in the end, but at the end of the day we have to be better in controlling the ball and rebounding to beat a team like this. You have to work harder on rebounding, offensively and defensively. "Obviously it’s tough to start 0-2, but we’re a lot better than we were in the first round. Some guys are missing some time and it’s clear that Ogilvly was out for a while and that Schmidt was out for a while. We’re a lot more stable. And we’ll continue to get better. We need three things to win these games – to play disciplined offensively in execution, trail shooters and rebound the ball. In those three areas we weren’t good enough." "I would like to congratulate my team on the victory. 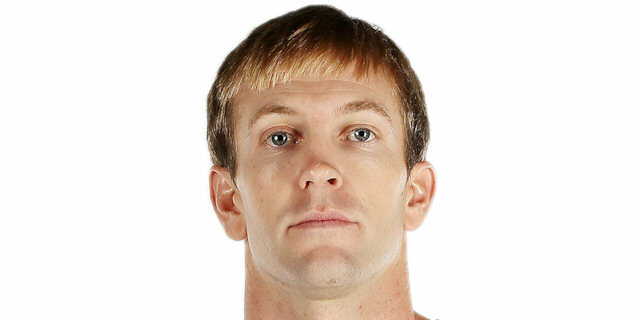 Brose played a very good game. They play with a lot of passes and a lot of patience and a lot of shooters from the three-point area. One of the keys of the game was defending their three-point shooters. Only Nachbar was able to get going. Step by step we got a bit ahead in the game. But in the end I don’t think the 15-point difference accurate. I know it’s tough to play here. We talked about rebounding before. They are a very aggressive team defensively and that after the moving the ball that we would get offensive rebounds. And that was really important. With the schedule of two road games to start, we knew it would be important to get two victories. Watching the group from the outside, it would looks like it’s going to be important to keep the home court. This victory is going to be very valuable. I think this Bamberg team will be a good one and will win some games here." "We didn’t play well enough to win. They made plays down the stretch. They have a lot of weapons but we didn’t play well enough to win. We’re going to play teams like this every week. We need to get better. If we get better, we can win some games. Rebounding has been our problem all year. We’ll continue to work on it and we’ll get better." "It was a big victory for us. Every road victory is great. We’re very happy to win. We came out stronger in the second half and in the fourth quarter we took over. We made some tough shots. It wasn’t easy for us. The rebounding really went well and it really helped us to win the game."